Justin Bieber needed to be comforted and shown some love on his way out of church, clearly impacted by our story about Selena Gomez's mental health issues. 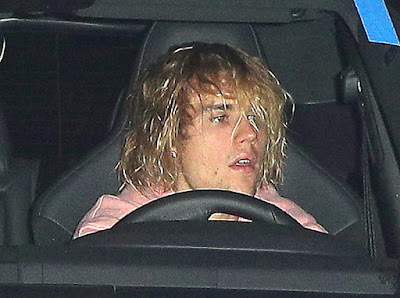 Justin's been attending church with new wife Hailey Baldwin -- just as he did when he was dating Selena -- but Wednesday, the Biebs was flying solo and he needed to be comforted by friends as he was leaving church. Last night he was surrounded by his church buddies. Justin, messy hair and all, clearly looks like he could use the support of his friends and loved ones.